All leaders have weaknesses and blindspots that limit their opportunities. The higher you go in an organization the more people watch and evaluate your smallest behaviors. Sadly, the way you’re perceived isn’t always what you intend. You don’t see yourself the way others see you. 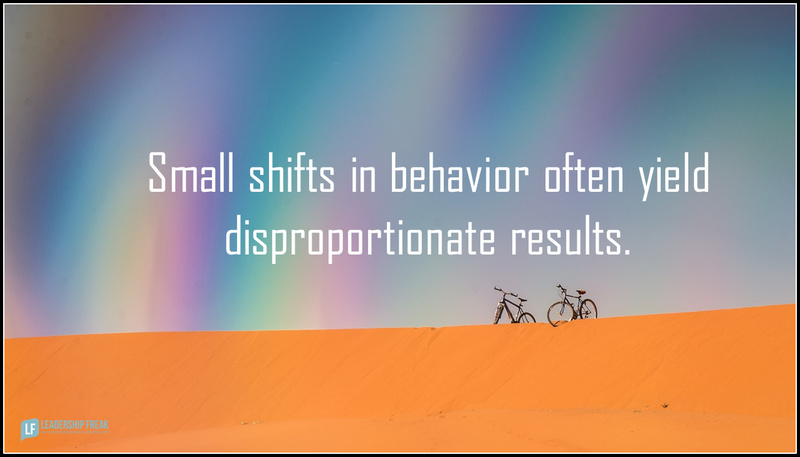 Thankfully, small shifts in behavior – developing executive presence – often yield disproportionate results. Character: your inner core; the personal traits and values that define you. Substance: your technical knowledge, business acumen, problem-solving skills, people skills; all that your professional and academic experience has taught you. Style: what people see and experience about you in casual observation. Authenticity – being real, genuine, transparent, and sincere. Integrity – acting with fidelity to one’s values. Concern – demonstrating interest in others. Restraint – displaying a calm disposition. Humility – showing awareness of one’s strengths and weaknesses. Confidence – being self-assured in decision-making. Composure – proving to be steady in crisis. Resonance – connecting with others. Vision – generating an inspiring picture of what could be. Appearance – projecting energy and handling social situations with tact. Intentionallity – clarify focus … without stifling dissent. Inclusiveness – actively involving others. Interactivity – promoting an interpersonal style. Assertiveness – speaking up and raising issues without shutting others down. I asked Suzanne why should leaders care about executive presence? Why not just go out and do your work? She said, “Because that doesn’t work.” Executive presence – the way you’re perceived by others – either enhances or mutes opportunities and effectiveness. What prevents leaders for developing executive presence? How might leaders, who aspire to lead on larger platforms, develop executive presence? *** Purchase All the Leader You can Be. It’s a rich perspective on what I thought was a shallow topic. Thanks Bob. I’m not speaking for Suzanne. My thought is the 15 behaviors are all trust-building behaviors. Just a thought to a great question. Great post. Thanks to you, Dan, and Suzanne for sharing. It’s a great list to inventory where I’m doing well, just ok or where I’m falling way short. It’s also very logical: it starts with your values and your authenticity with those values and flows from there. And style counts, like it or not. When I think of leaders whom I’ve followed over the years, I can think how they displayed or lacked each of these. Thanks Chris. I appreciate how well you’re analyzing the list of 15 behaviors. Some are internal. Others are external and connected more to execution. I’m with you, it’s a great inventory. I see myself strong in one area and weak in some others. Maybe this is for another post – but I envision executive presence as your positive influence upon people to work in the manner to which they have been trained and prepared as if you (the leader) were present when you are not. It provides for a good work place when the leader’s positive influence can be felt within a environment when not physically present. Thanks, Dan. I often share with new supervisors/managers that the higher you go in an organization the narrower the margin for error, “The higher you go in an organization the more people watch and evaluate your smallest behaviors. Sadly, the way you’re perceived isn’t always what you intend.” That can be a difficult obstacle for some to overcome. At the same time it makes you take a moment to recognize the responsibility you have accepted. Now, take that a notch higher to being a leader and this is when I believe it really gets good! Effective leaders are given permission from their followers to be led. What is so cool is this is where the relationship happens and builds. Now we get start using terms like “grace,” “compassion,” and understanding.” Great post today. I have two more opportunities next week to teach and today’s post will be part of the sessions! Simple, practical, user friendly, thoughtful. These are the foundation to leadership but many fail to reflect and improve. So, here is the question: when does style and presence start to overshadow substance? Actually, substance is built into the model of executive presence as part of substance. Those qualities are vision, practical wisdom, composure, confidence and resonance. These are the cultivated qualities of mature leadership that inspire commitment and get people to go above and beyond. What we were trying to show with our research is that substance is an aspect of presence, not separate from it!